Experience Tropical North Queensland - nature at its finest! Rail, gondolas, and amphibious Army Ducks all come together to enable you to appreciate the compelling enchantment of the rainforest. 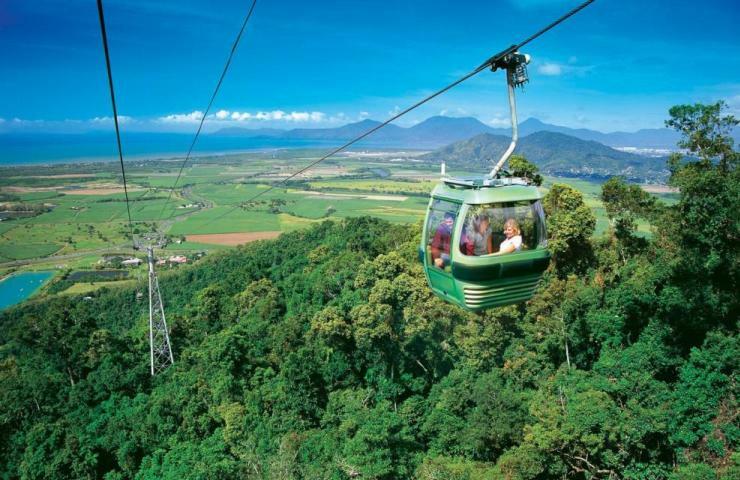 This tour includes the rainforest village of Kuranda, Aboriginal dancing, a Dreamtime experience, and native animals. Browse in the markets, shops and art galleries. Return coach transfers from Cairns, Northern Beaches or Port Douglas accommodations. Please note itinerary may operate in reverse depending on pick up location.